The cover artwork features a black and white shot of Morten wearing a white shirt and sunglasses. 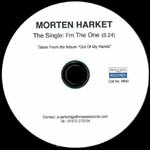 "morten harket" and the title are printed in blue and white respectively along the bottom of the sleeve. The back of the insert is white with titles in black plus a white and blue Wrasse Records logo. The disc is white with titles in black plus the white and blue Wrasse Records logo. Contact details of an employee at Wrasse Records are printed on both the sleeve and disc, but it doesn't specifically say that it is a promo release. It comes in a vinyl sleeve with a large white sticker with the release date printed in black. 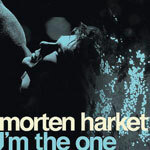 "I'm The One" was released as a itunes download in Germany on 23 November. The artwork features a blue-toned black and white angled shot of Morten's head coming out of the water. 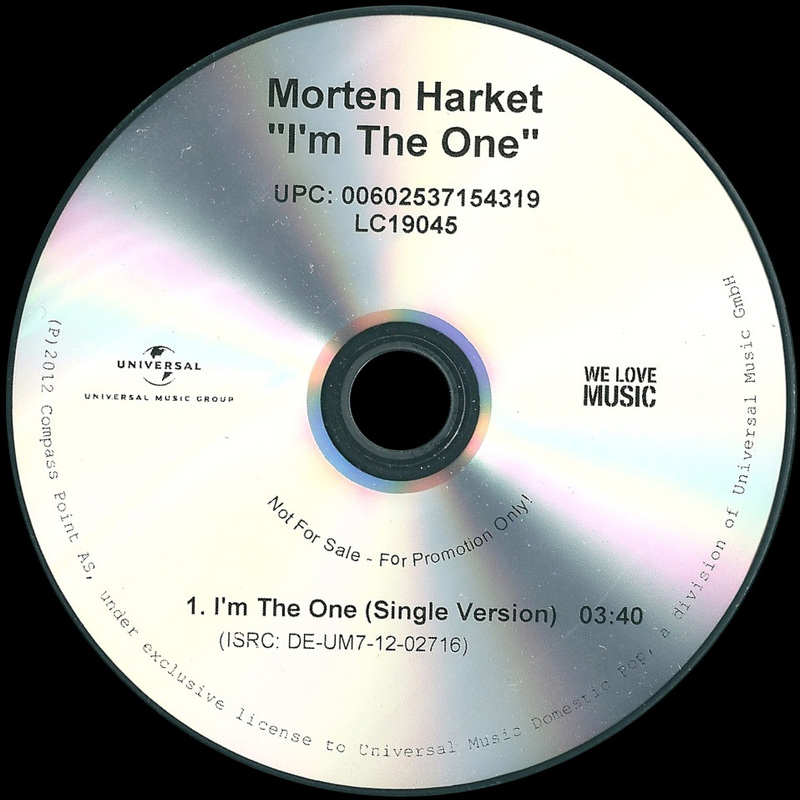 "morten harket" is printed in large white letters along the bottom with the title in light blue underneath. The download includes the " Single Version"l (3:40) and the "Alternative Version" (3:34) of "I'm The One" plus the video (3:41). There is also a German 1 track promo CD which comes with a jewel case without any insert. The disc is silver with black text and features the "Single Version" (03.40). The title is printed at the top of the disc with the catalogue number "UPC 00602537154319 LC19045" underneath. The Universal Music Group logo is on the left with "WE LOVE MUSIC" on the right. Around the centre of the disc is the text "Not For Sale - For Promotion Only!". At the bottom is the text "1. I'm The One (Single Version) 03:40" plus '"(ISRC: DE-UM7-12-02716")". The German manufacturing information around the outer edge of the disc reads "(P) 2012 Compass Point AS, under exclusive license to Universal Music Domestic Pop, a division of Universal Music GmbH".